We have a new product announcement, Pacific Jet & New York Style Helmets! 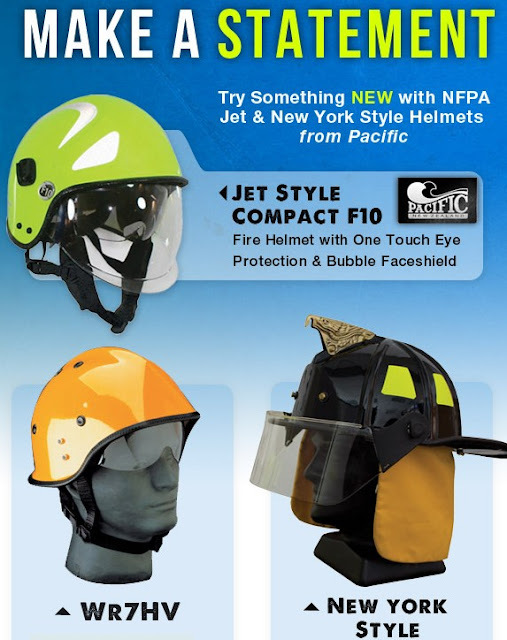 Break the mold with Pacific’s Jet-Style Fire Helmet with Internal “Bubble” Faceshield, or the Jet Style F-10 Fire Helmet w/ Bubble Faceshield. The New York Style Traditional Fire Helmet featuring a Short Brim Model with 4" Faceshield is lightweight, with a high-gloss finish. Check out Pacific Helmets Today!